Our volunteers run mock admissions interviews, small group workshops, and/or tutor on our oxford-based summer school. Our volunteers provide rigorous interview practice for Year 13 pupils applying to top UK universities. With our guidance and training, they deliver a range of different interview types - from those which focus on the student’s personal statement, to those which focus on the subject area they are applying for. We believe there is no textbook interview, no perfect candidate, and no stock answers. Our volunteers use their subject knowledge as graduates to provide students with an intellectually challenging practice interview, and their knowledge of interview technique to help students reach their full potential in interviews. Our volunteers work with us to run a range of our workshops, focusing either on their university subject or on an element of the application process. 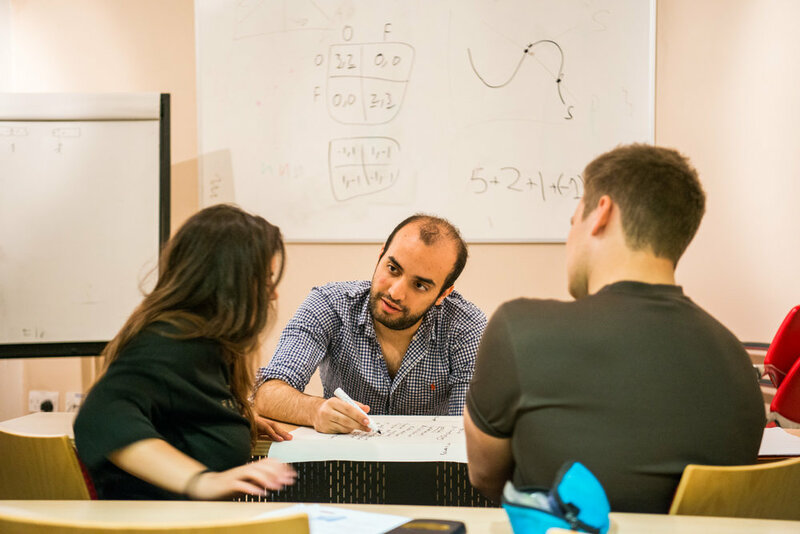 Volunteers may deliver mock seminars or tutorials in their subjects with small groups of students, to give them a realistic approximation of what university life is like. Volunteers can also get involved delivering workshops helping students refine their interview skills, practice for their admissions test, or speak about their personal statement. As a tutor on our summer school in Oxford, volunteers work with us to prepare and deliver a 2-week programme in a subject of their choice. This is delivered via a mixture of seminars and 1-1 tutorials. With our guidance and training, tutors design and shape a course they enjoy teaching - one which provides a general overview of what it’s like studying their subject, but which focuses in on the areas that they find most interesting. Our programme has been carefully designed to be both rewarding and low commitment. We’ve consistently been thrilled with the academic ability, enthusiasm and maturity of the students who join us, and tutors compare the experience very favourably undergraduate teaching. Tutors give one 90-minute seminar 5 days a week and 1-1 tutorials one morning per week. We have plenty of resources, reading lists, and lesson plans from previous years to help them prepare for these. Interested? Sign ups for our 2019 summer school are now open, so please do get in touch with a member of our team.